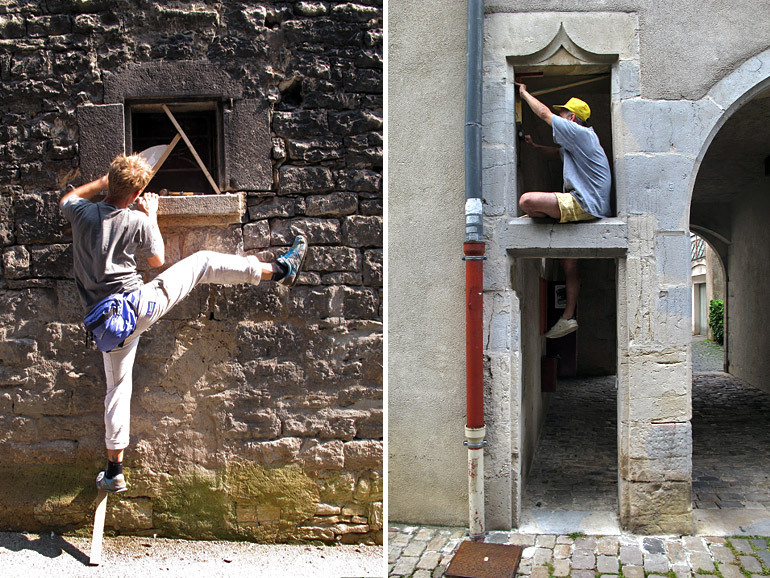 This summer MOMO and I were invited to do our fourth collaboration together for the Bien Urbain festival in Besançon, North-East of France. 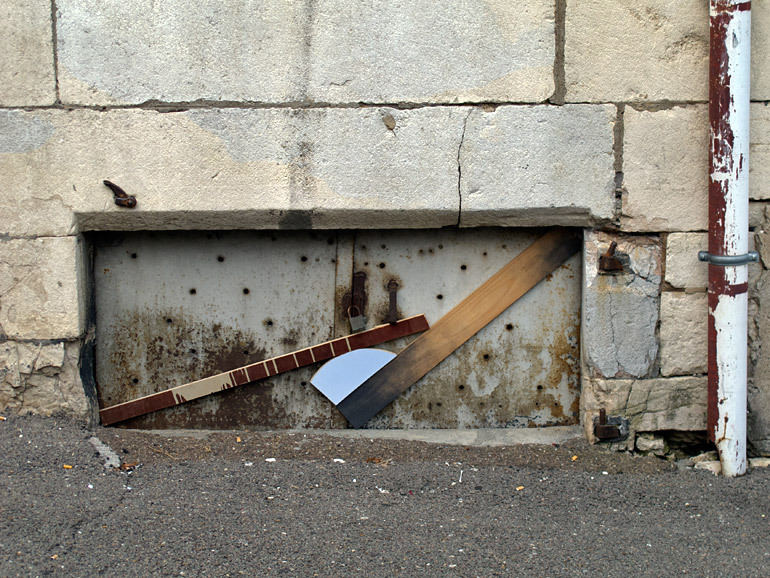 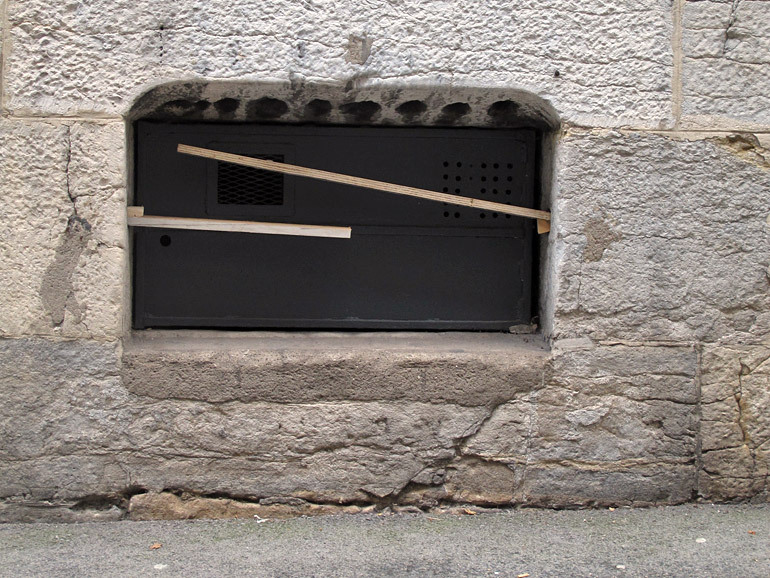 We worked on two exercises: the first one, called Improbables, was an exercise about doing compositions with pieces of wood in unused gaps in the city. 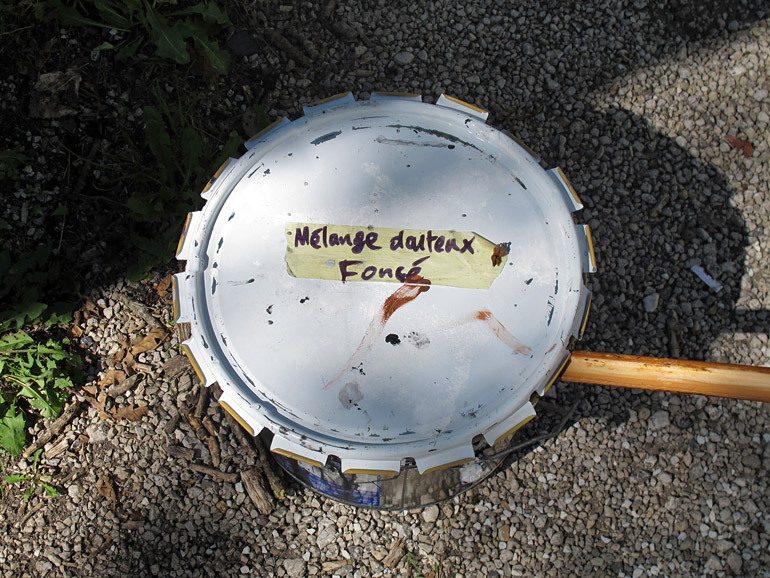 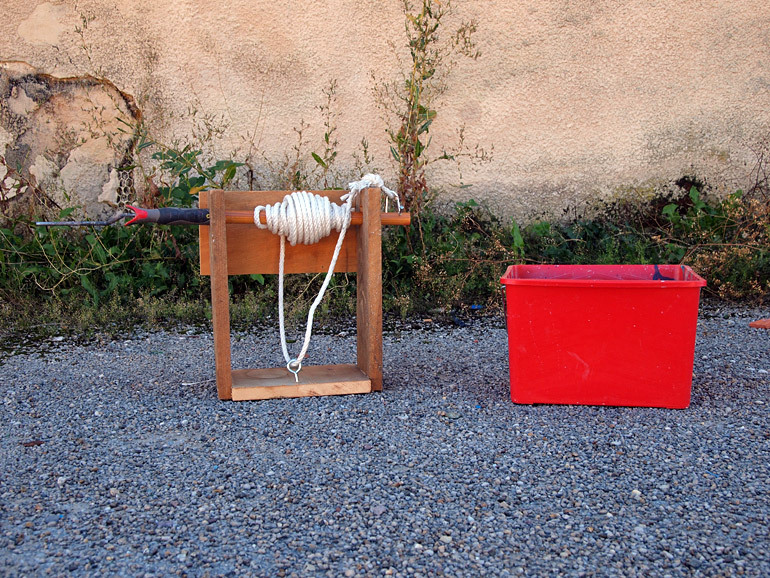 The second one is called Peinture au Cordeau Traceur (Paint Snap-Line) and is an adaptation of the traditional chalk line tool. 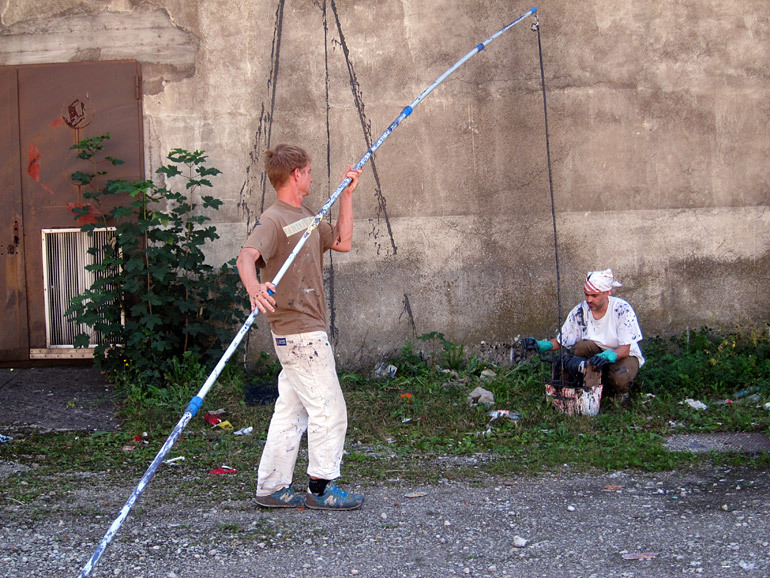 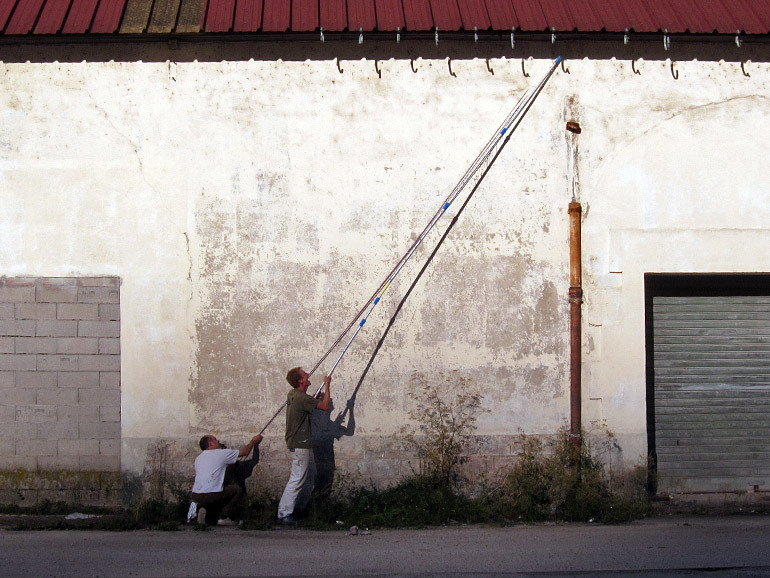 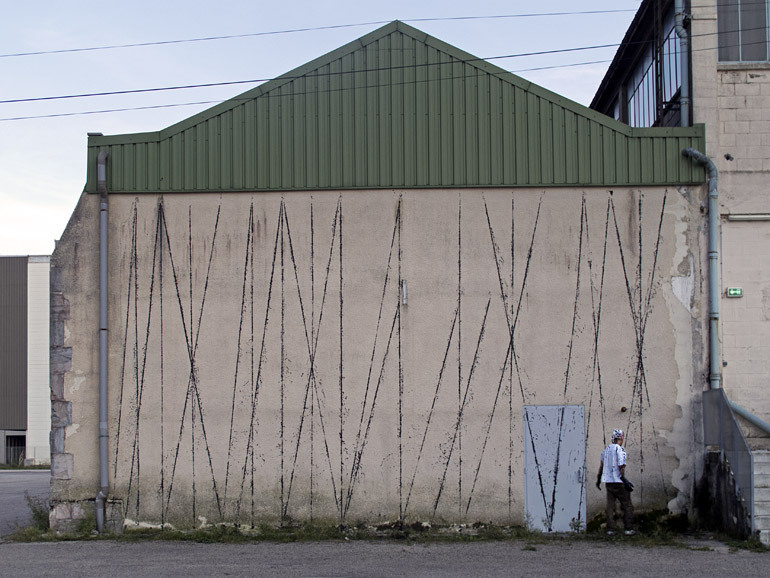 The technique we developed allowed us to trace long lines on a building of almost any height using paint instead of chalk. 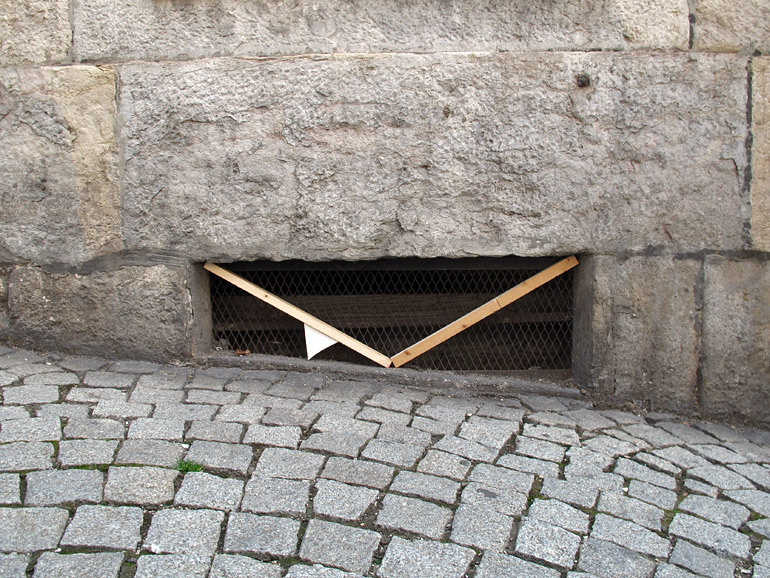 We came up with this idea after noticing a lot of small, unused spaces on walls all around the city. 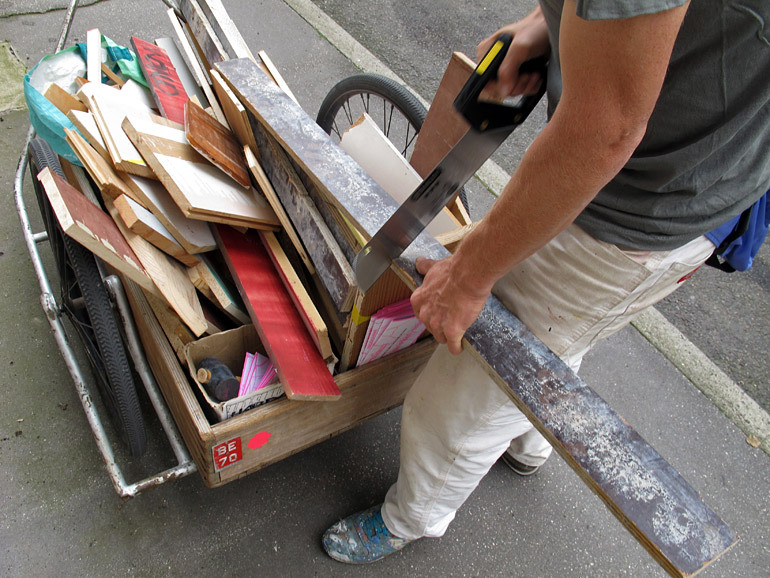 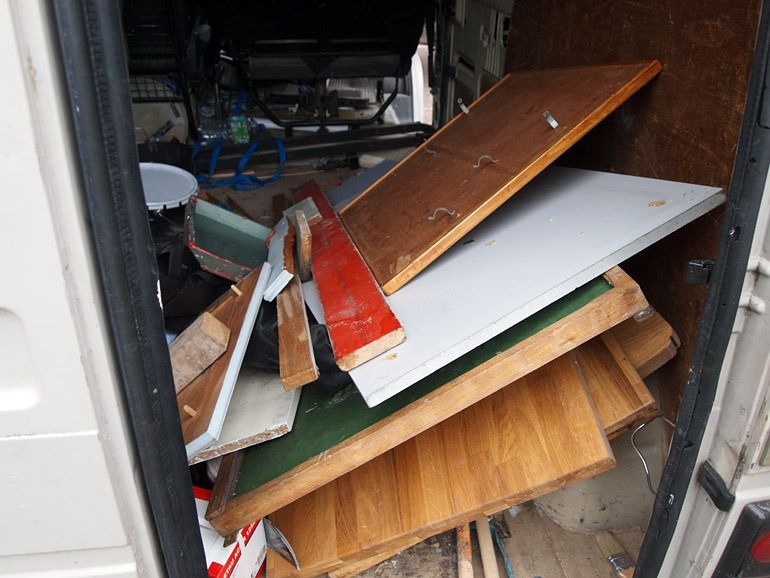 After collecting scrap wood, we loaded up our cart with the wood and our tools. 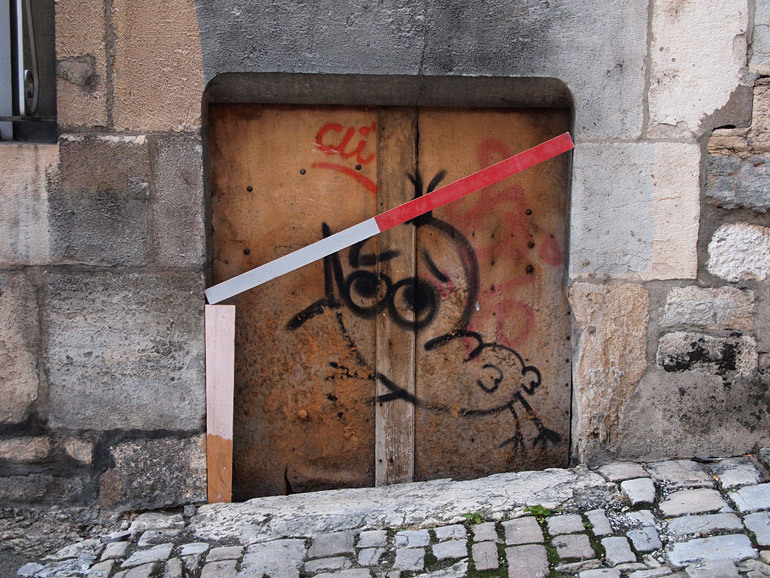 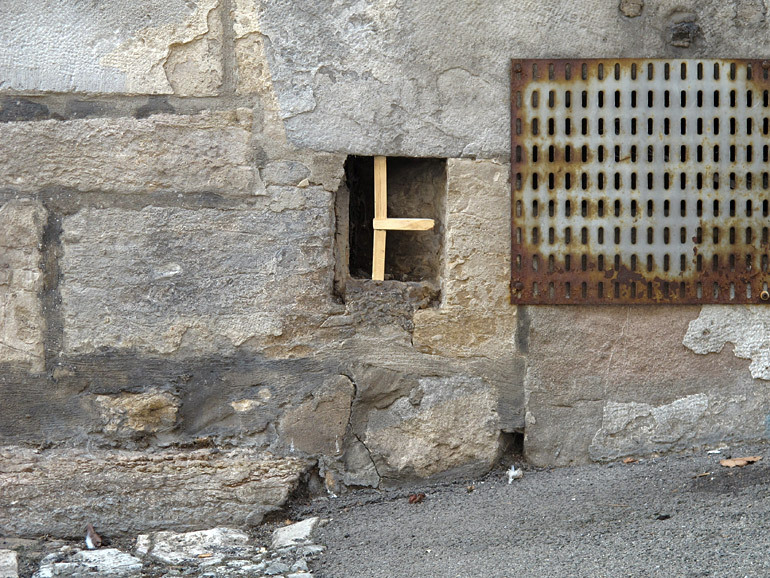 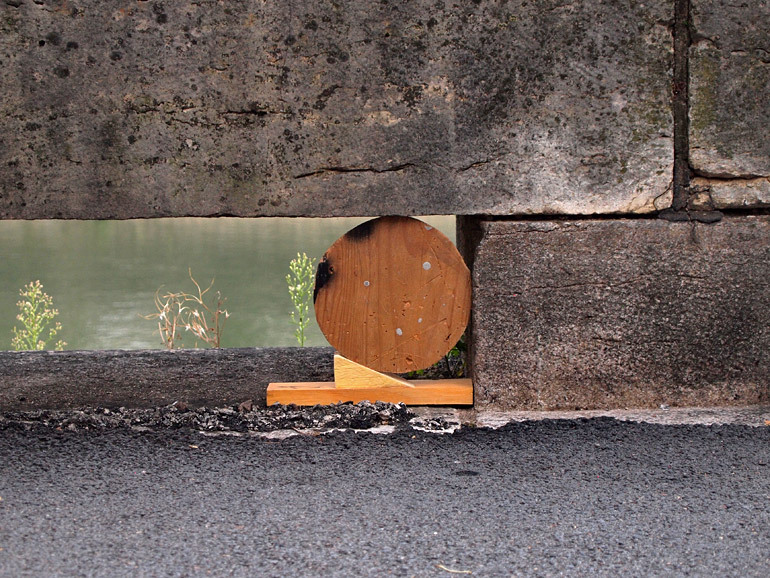 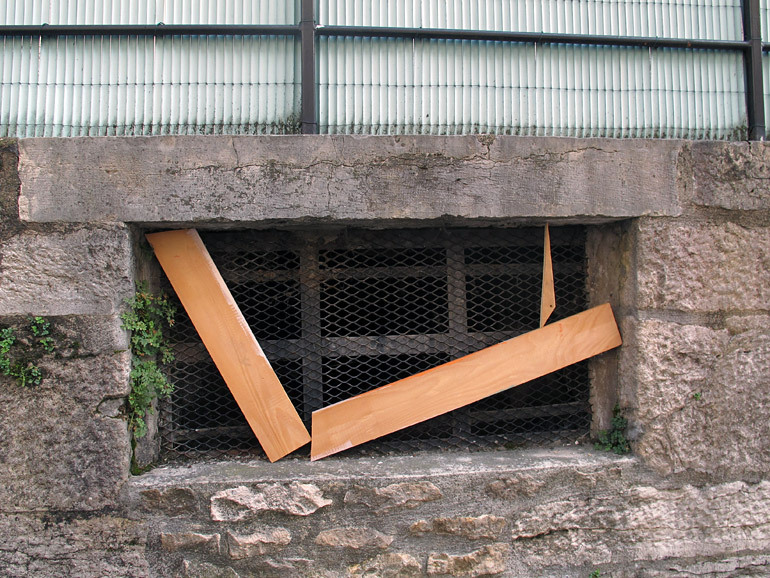 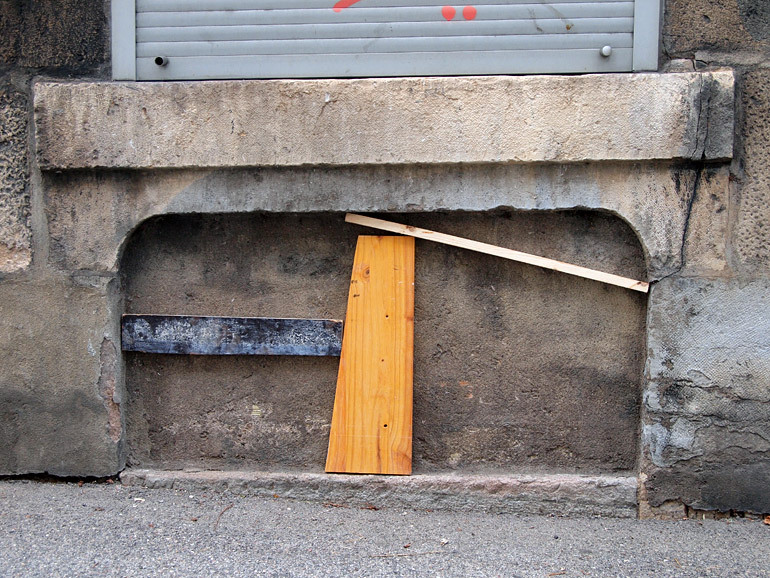 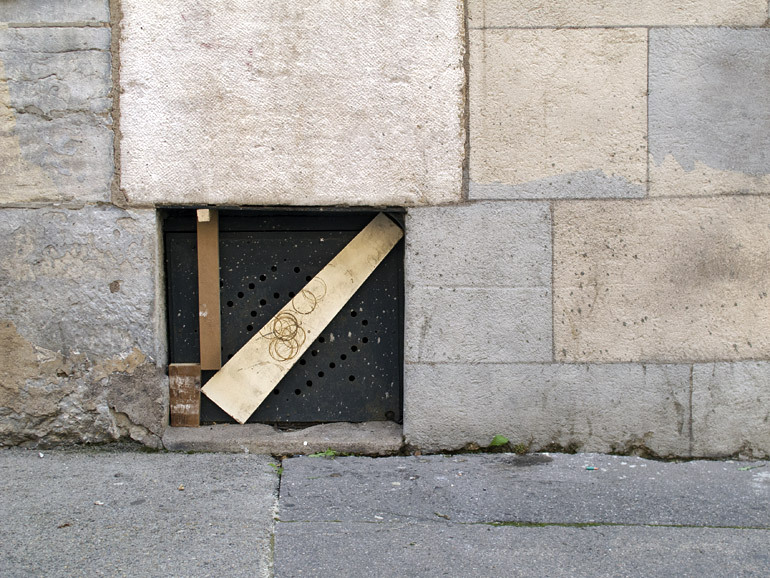 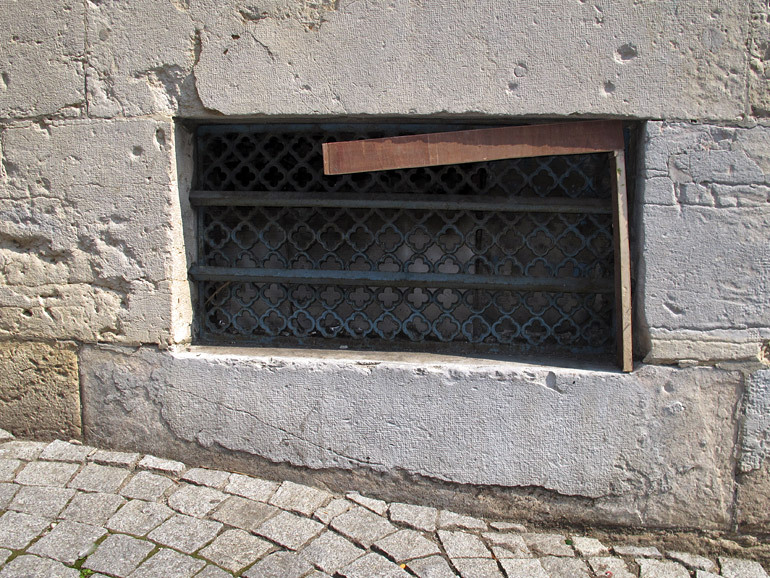 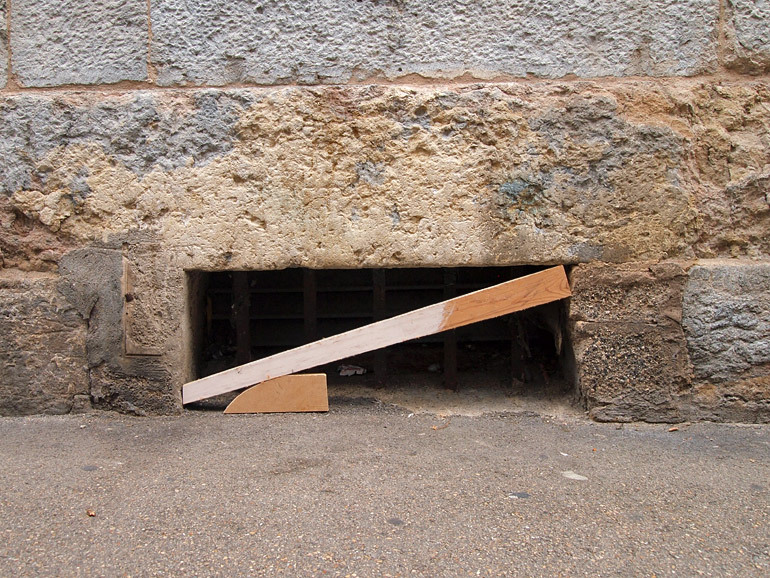 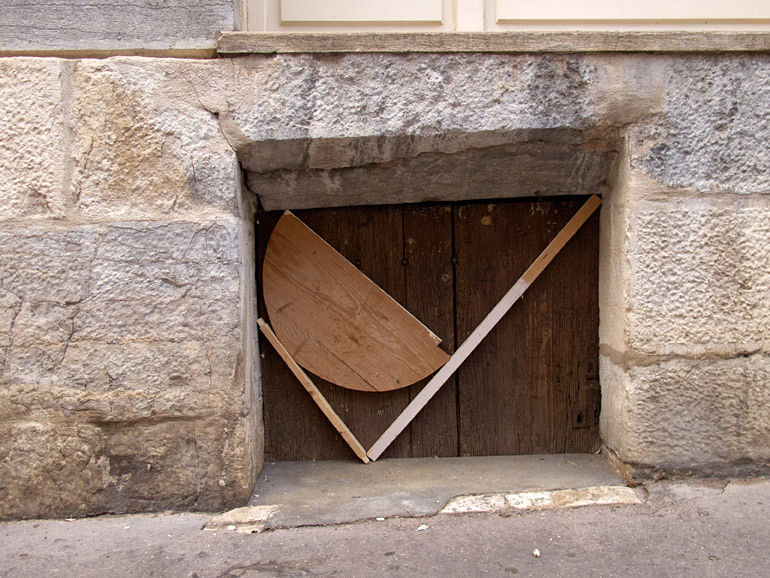 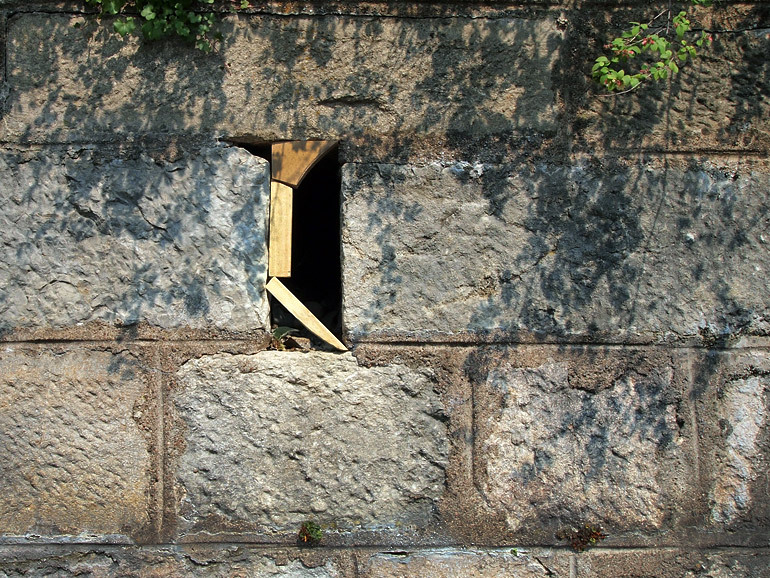 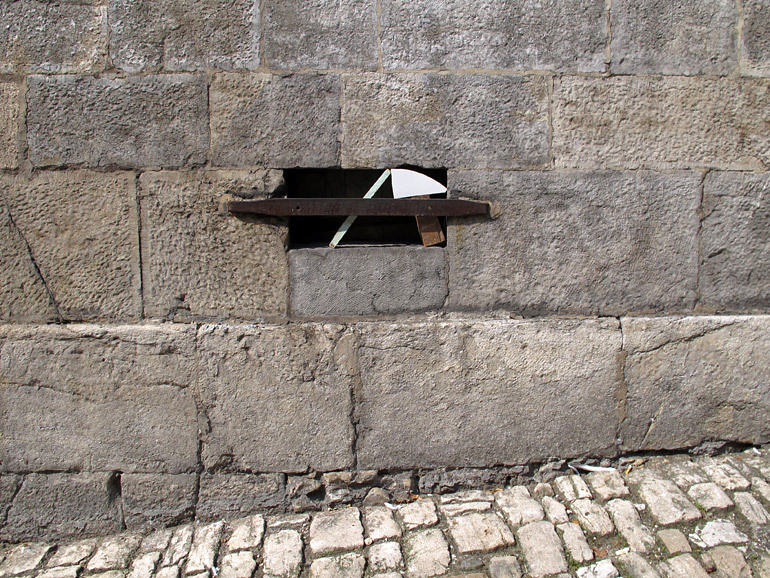 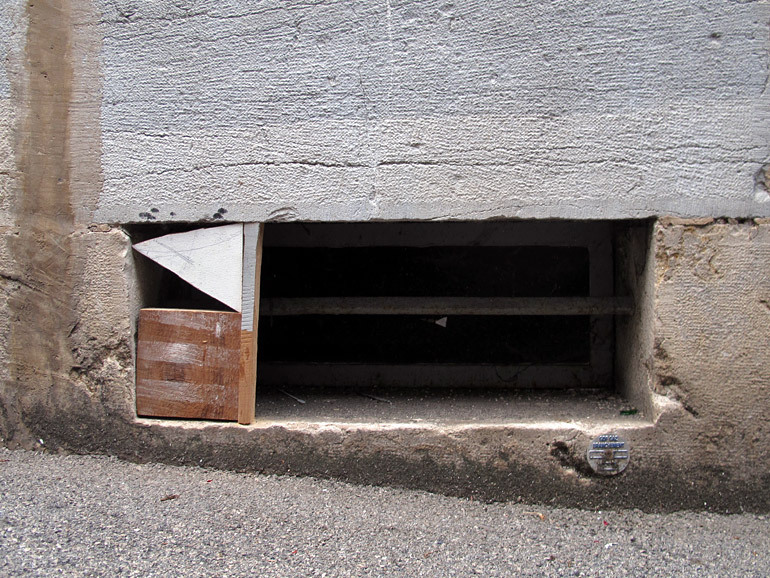 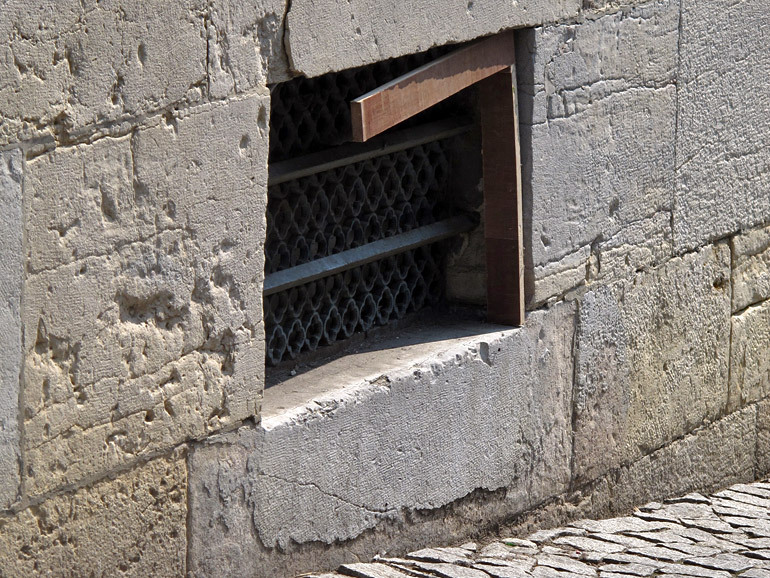 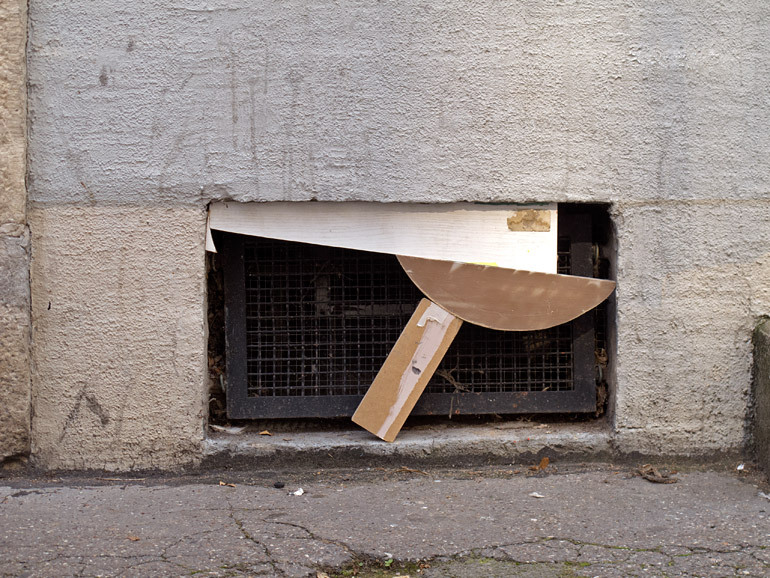 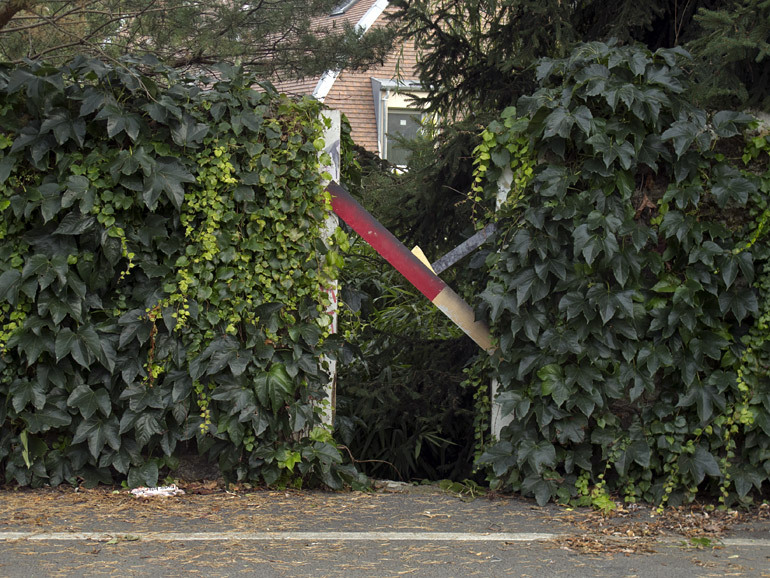 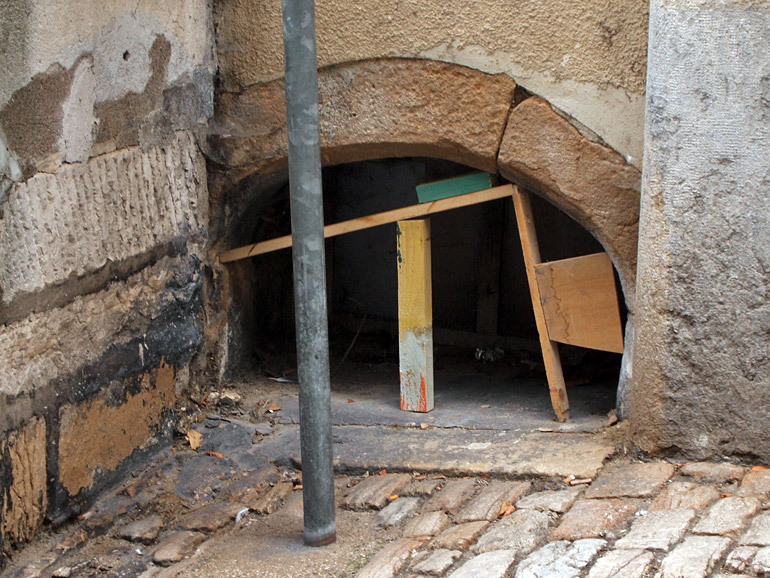 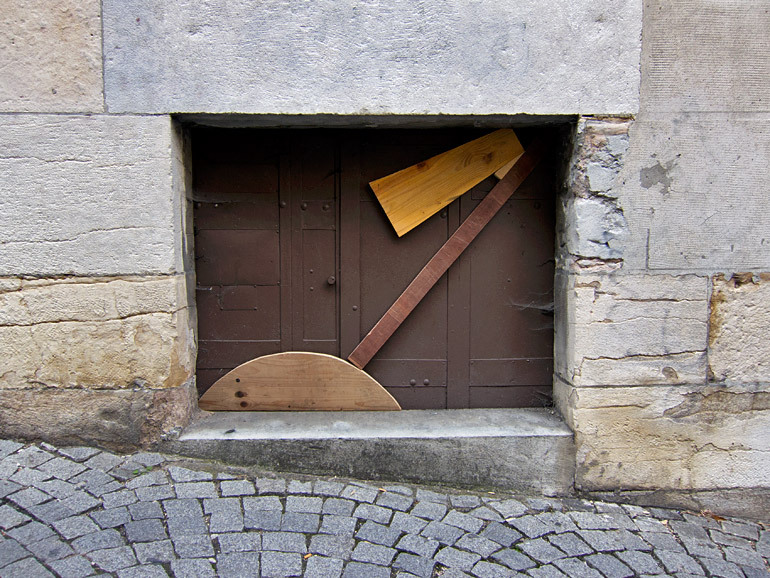 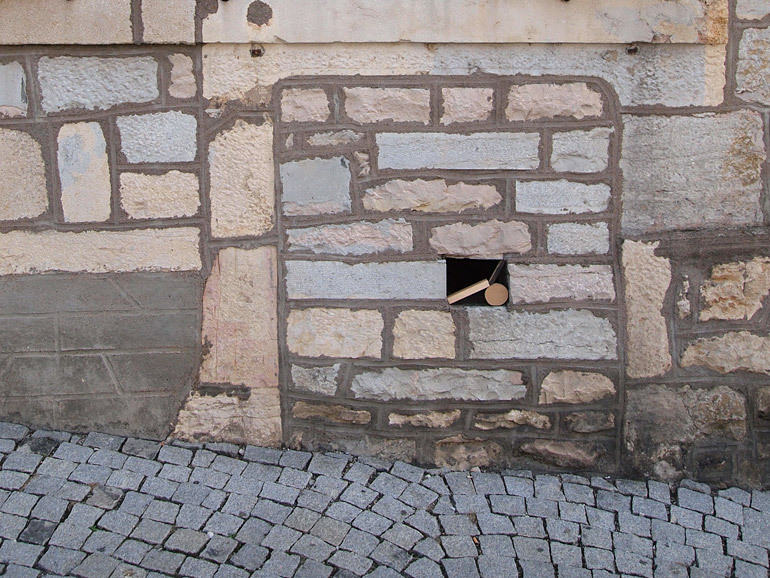 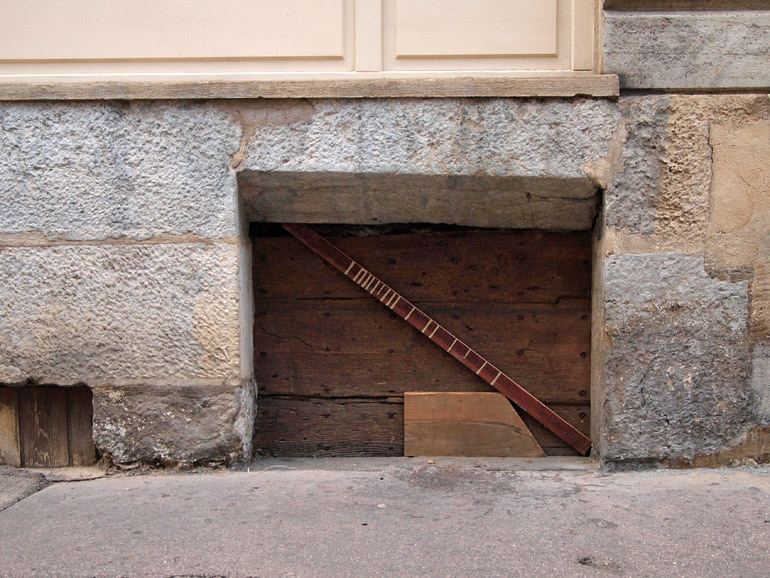 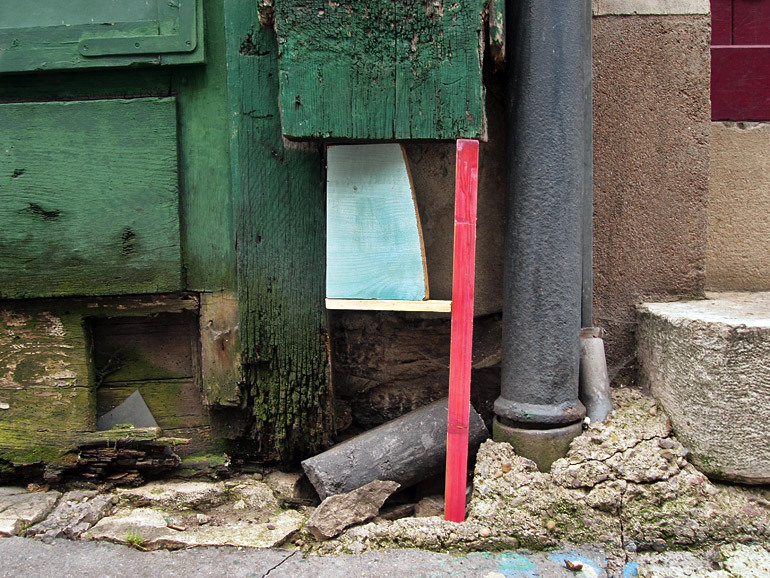 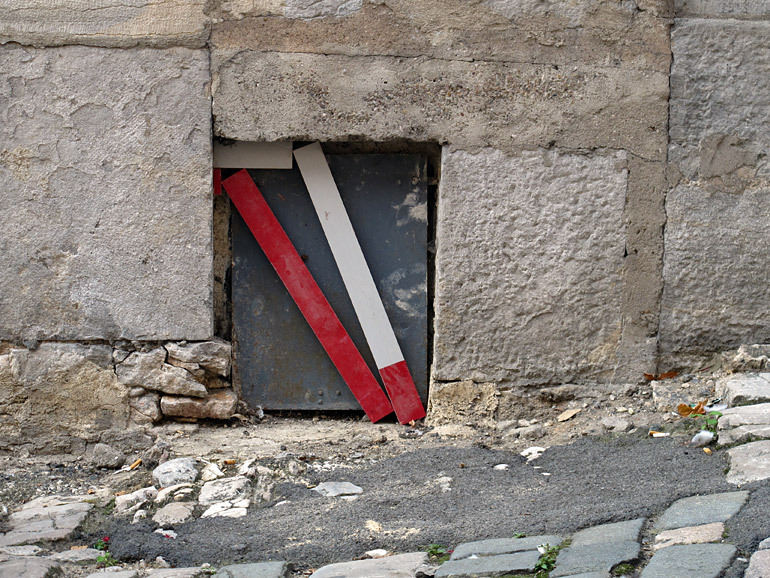 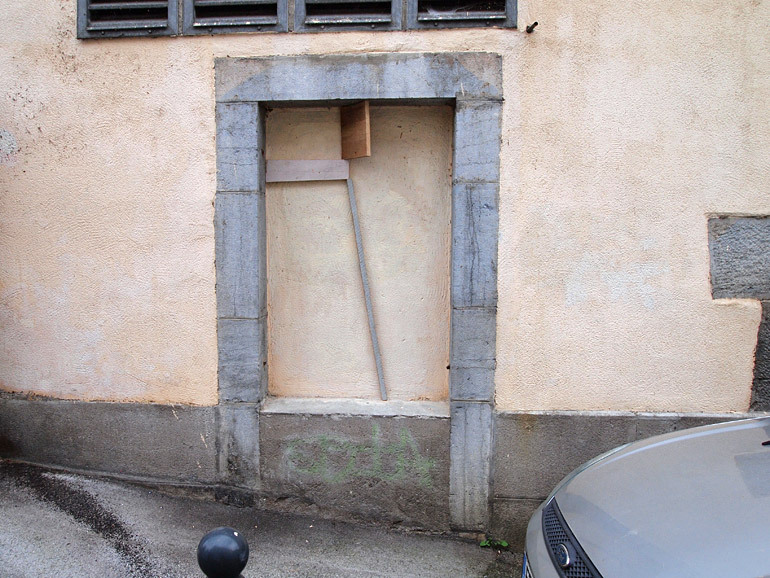 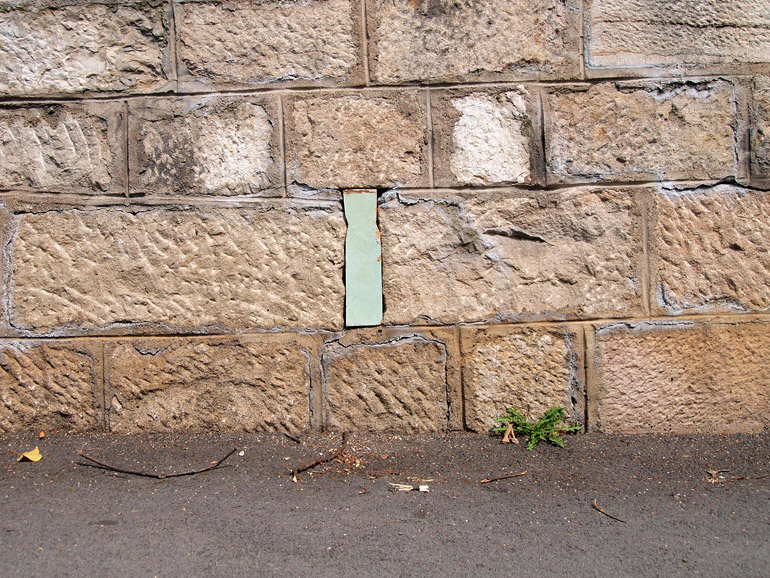 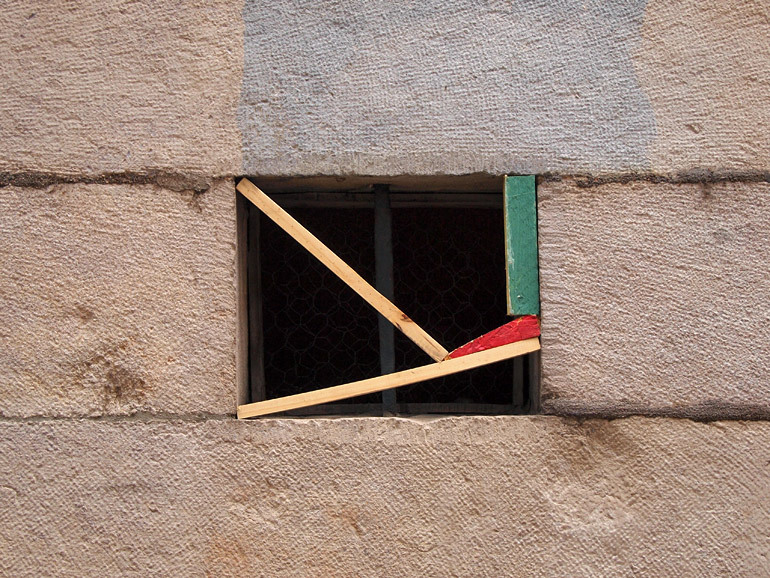 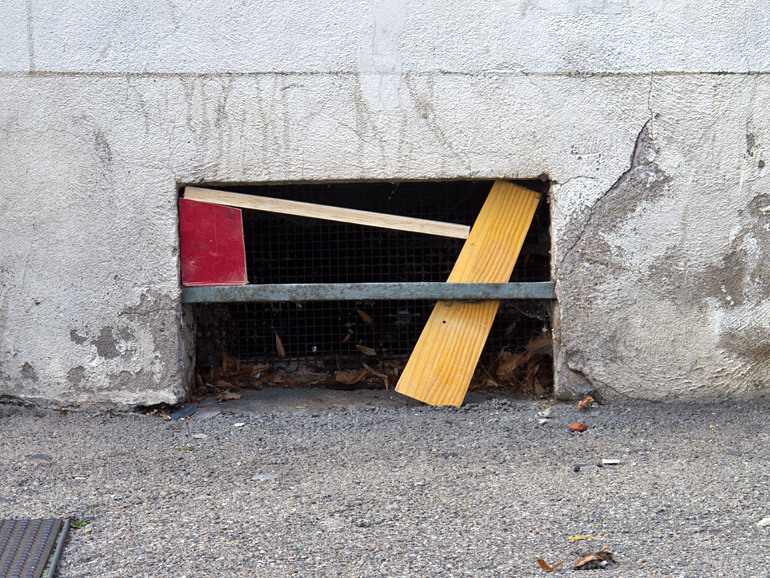 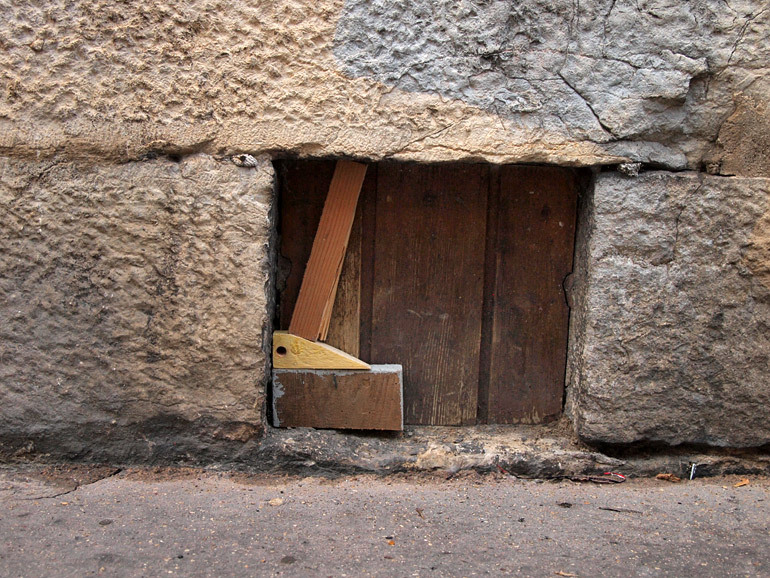 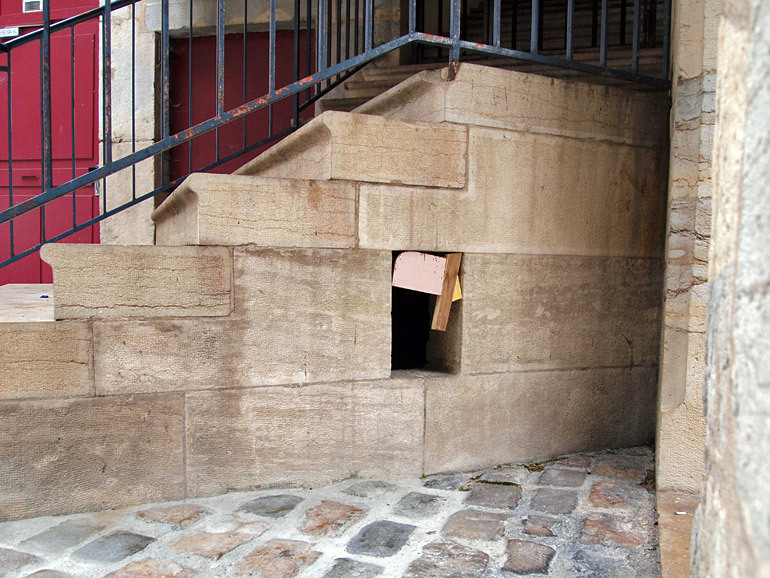 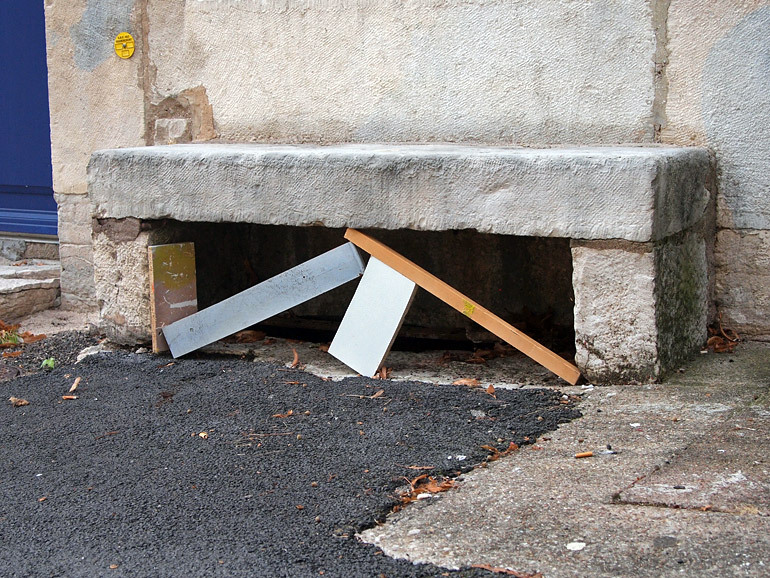 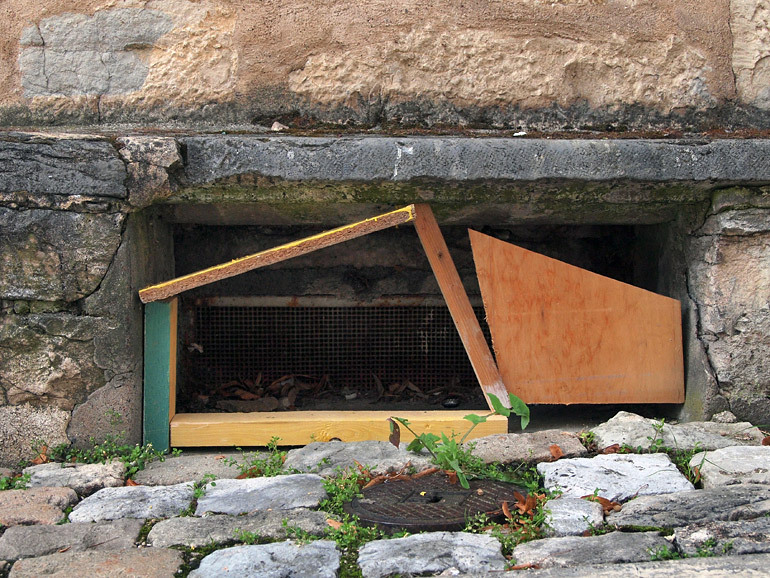 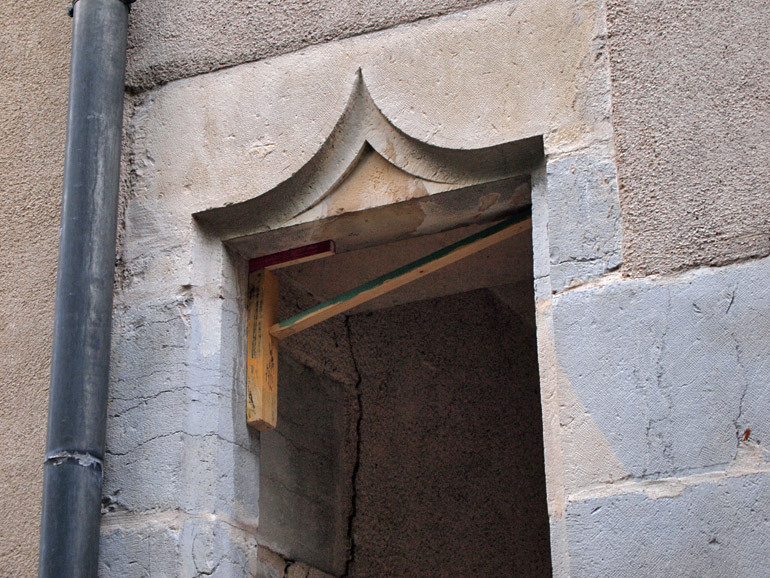 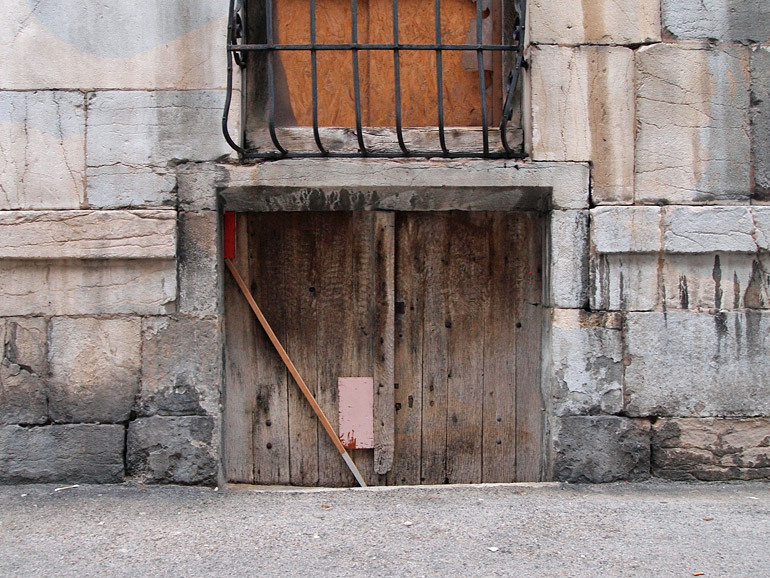 Then, as we walked around the city, we installed simple wooden compositions in every gap we found interesting. 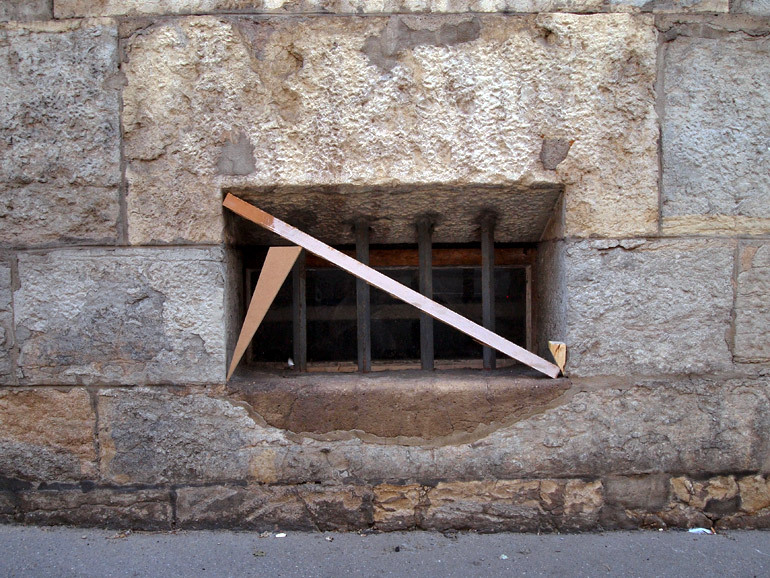 All the pieces were put into place using only tension – no nails nor glue were used. 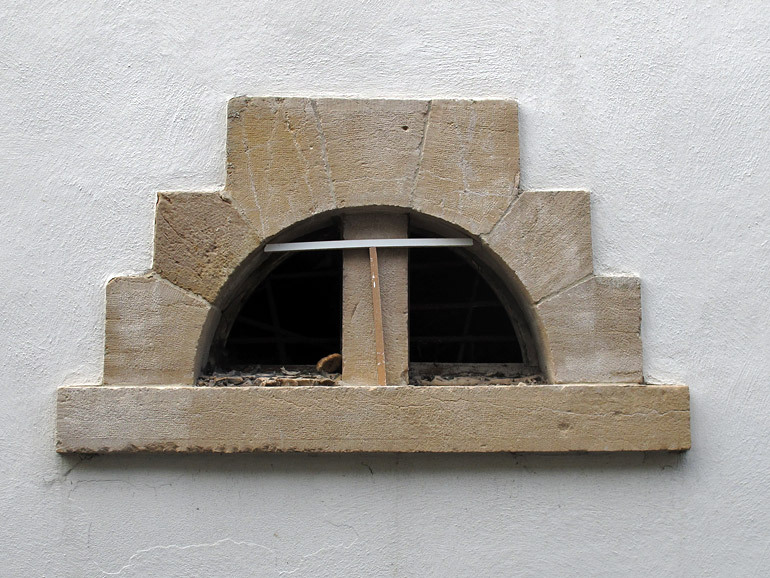 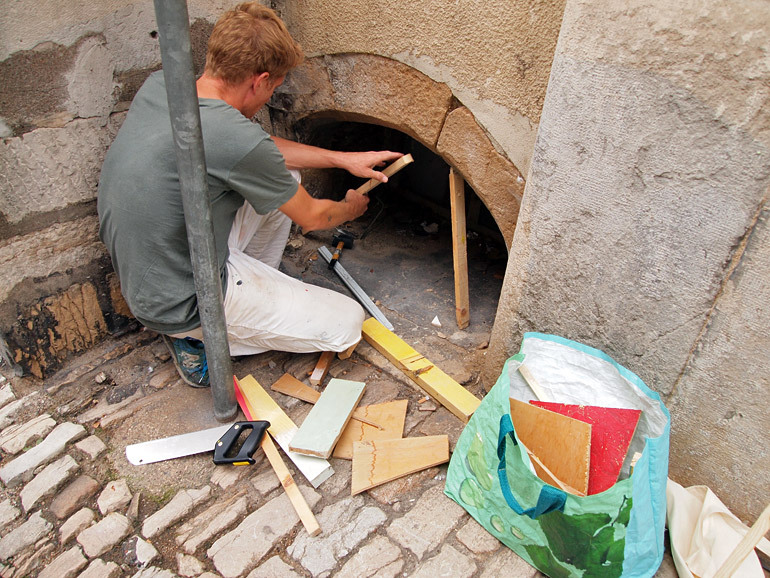 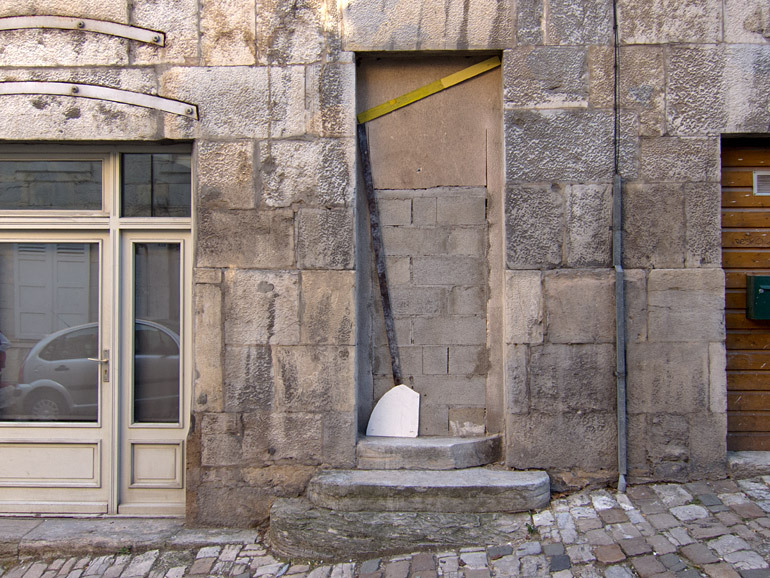 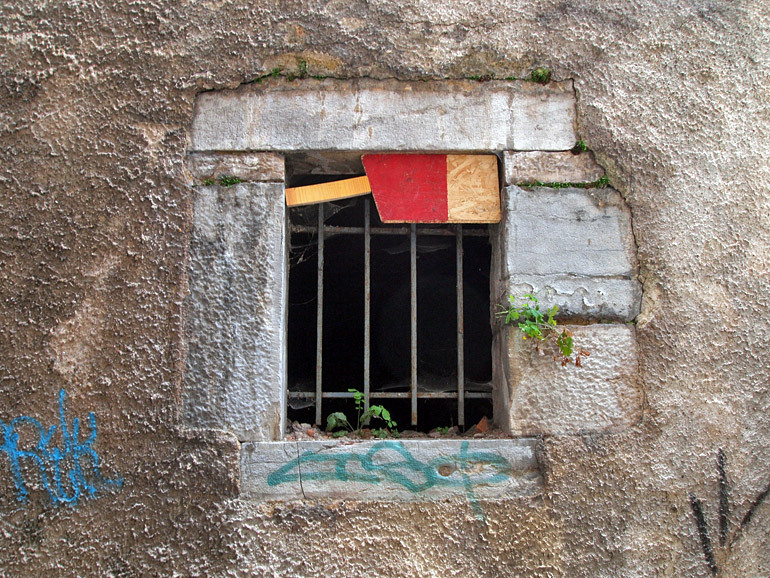 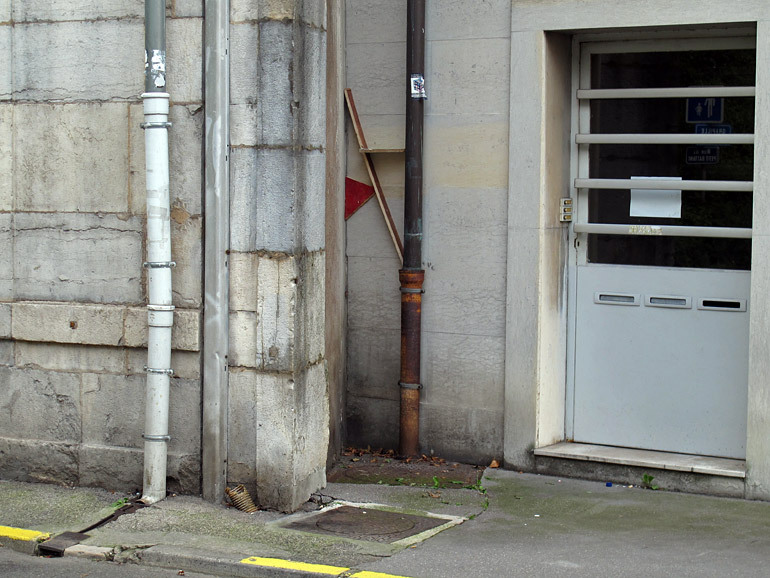 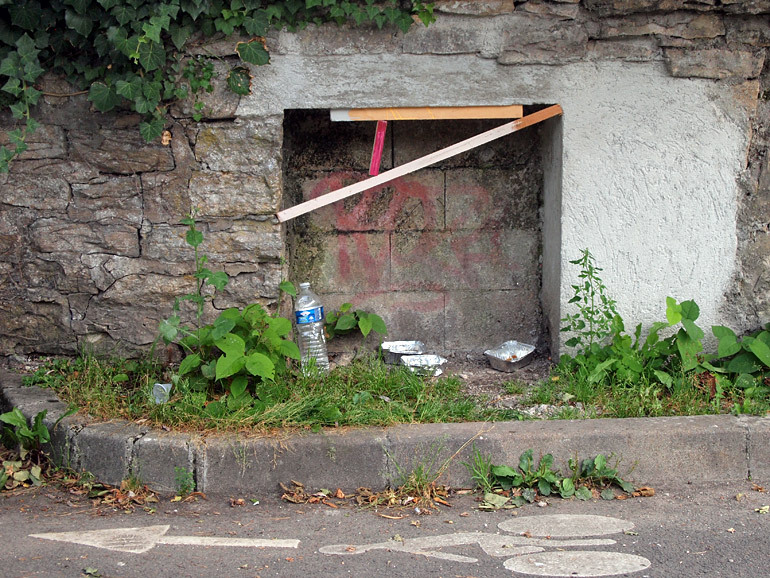 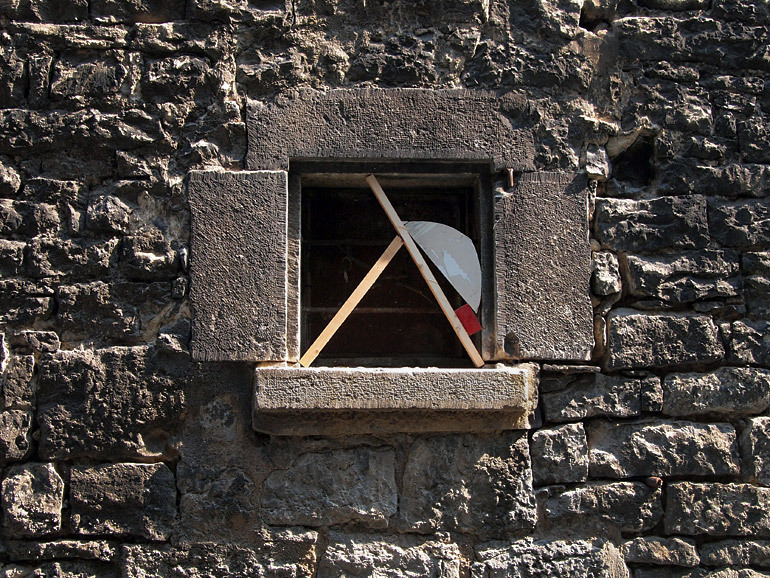 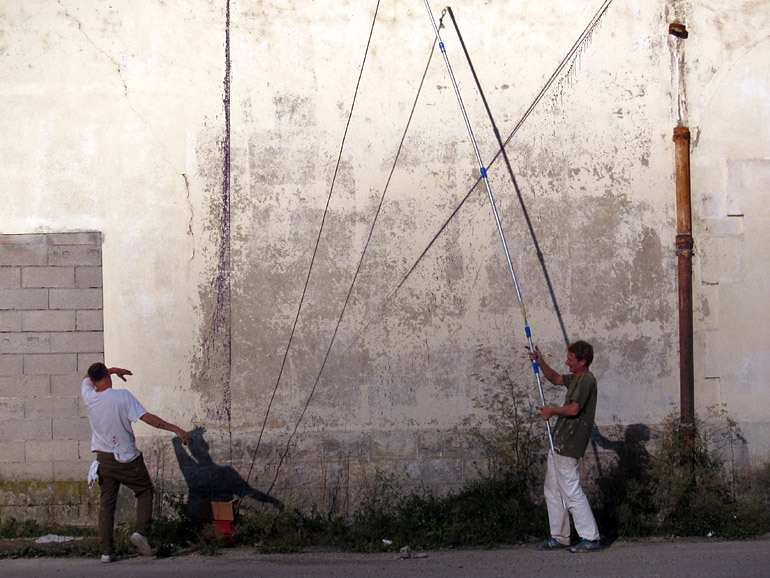 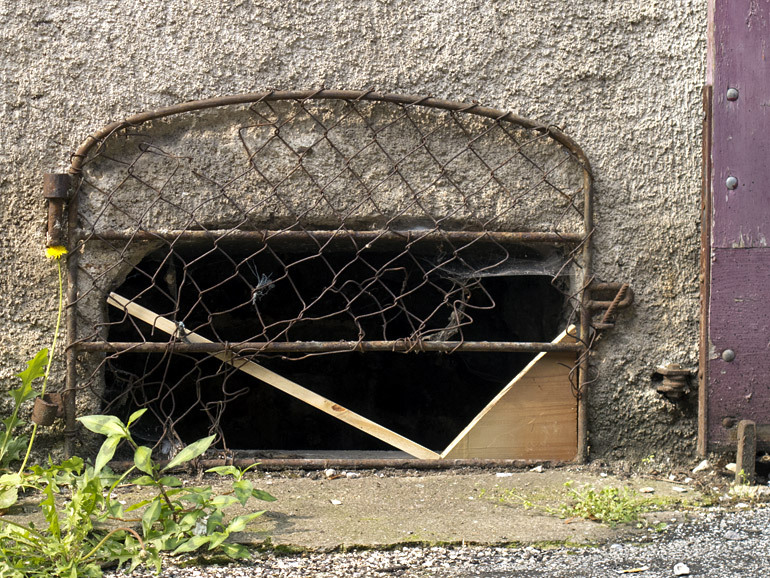 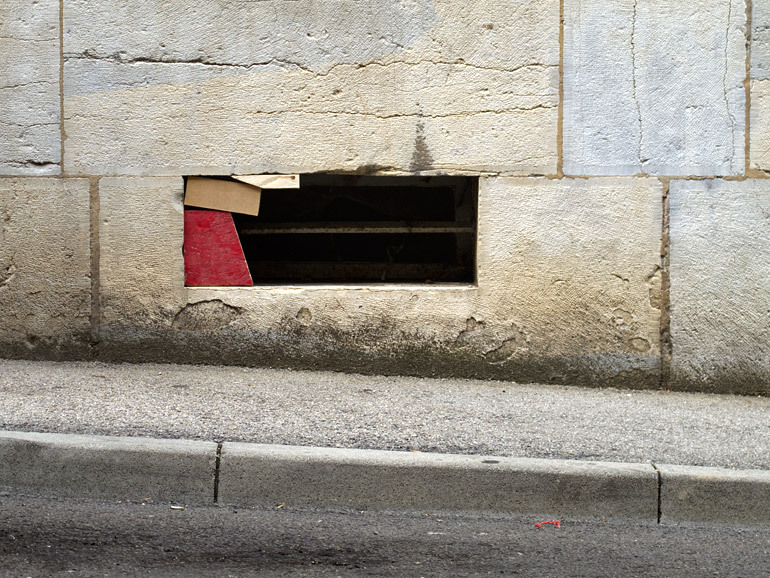 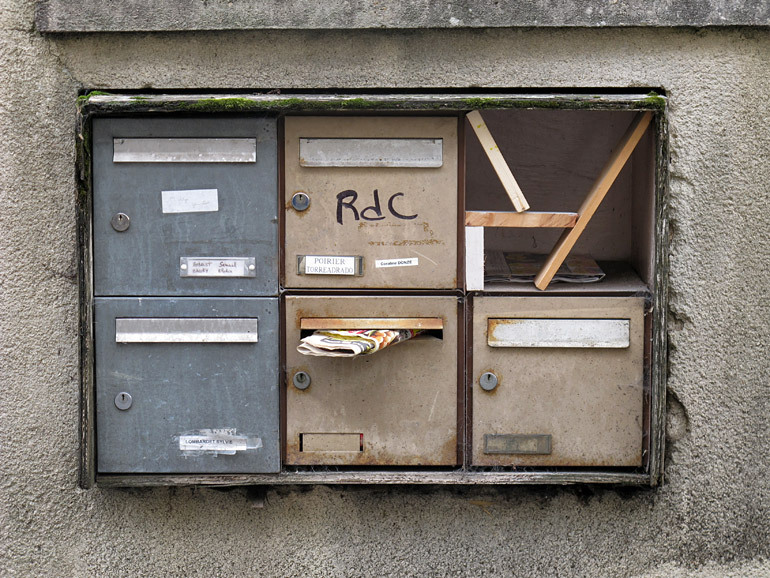 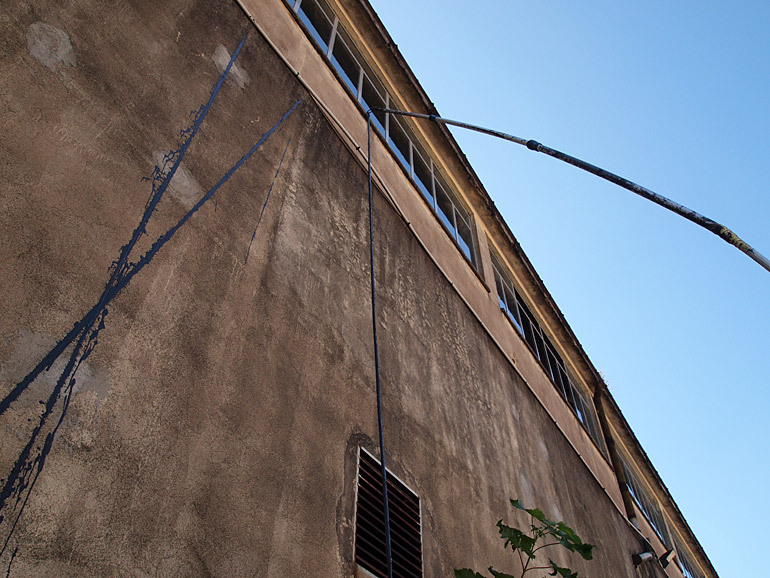 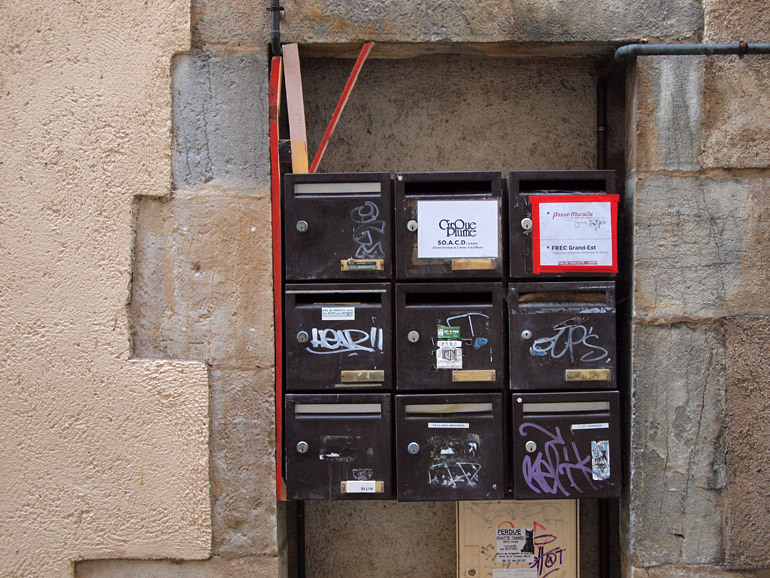 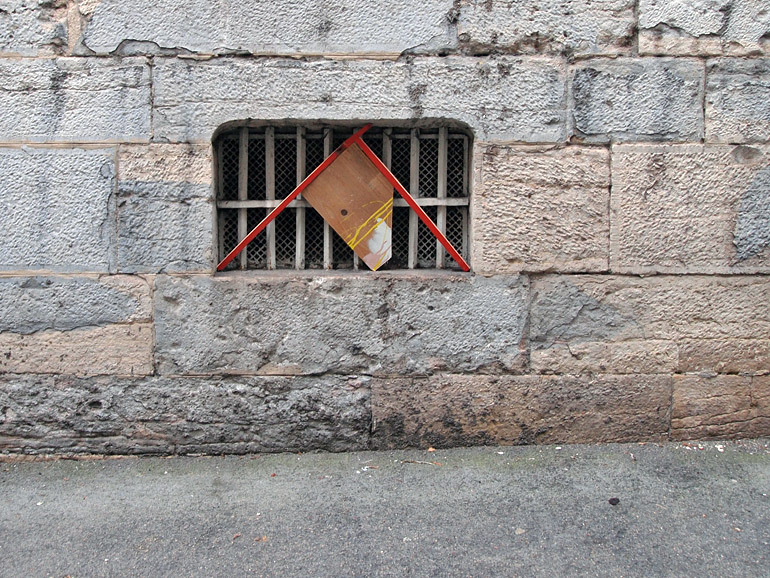 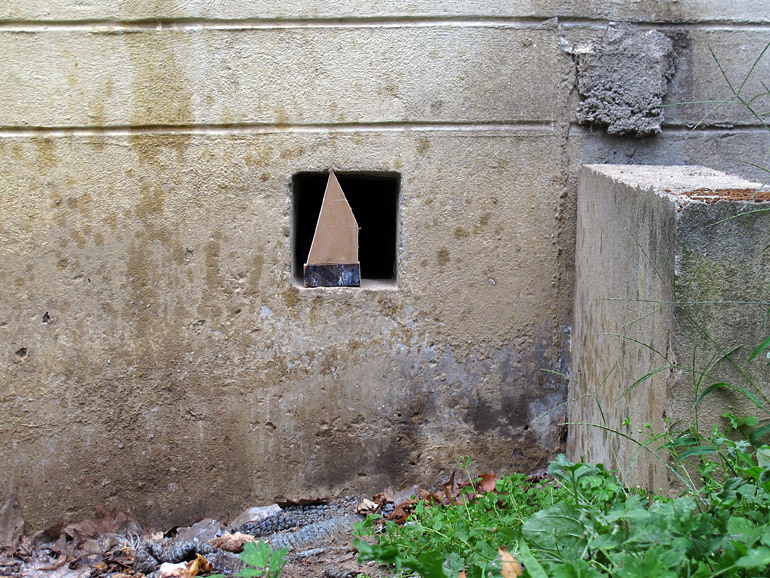 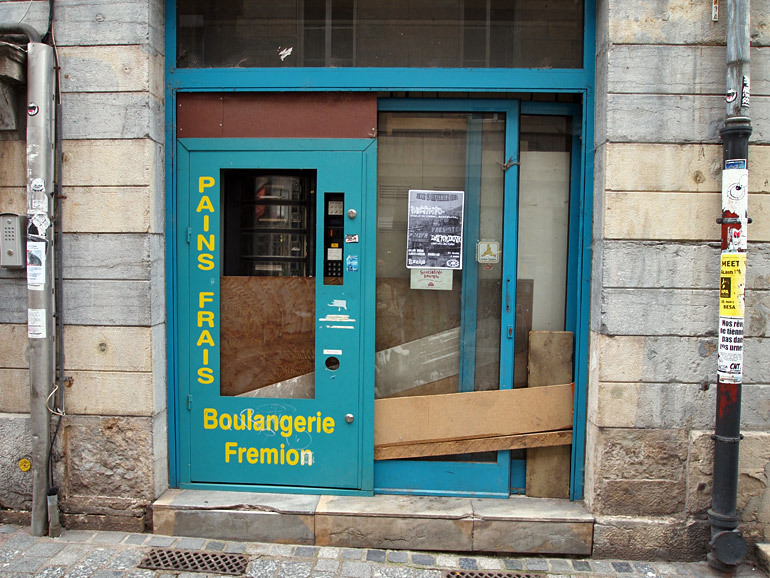 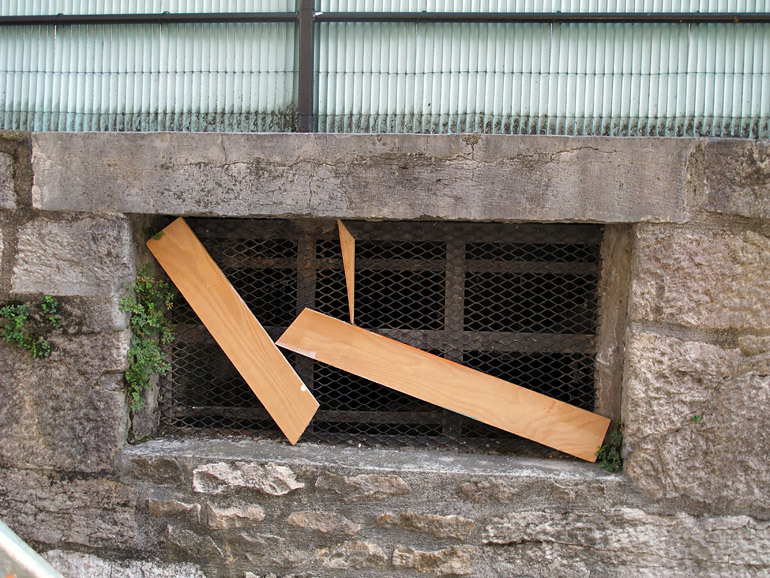 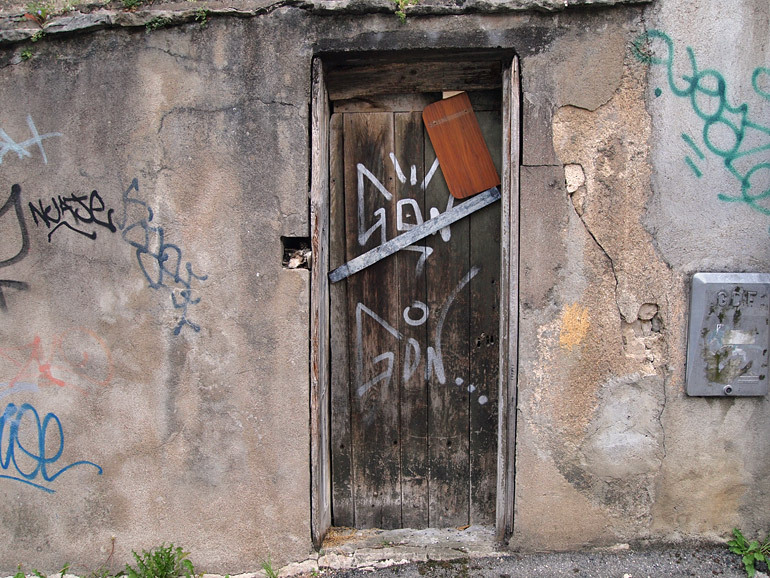 The end result were 52 installations found all around the “Battant” quarter in Besançon. 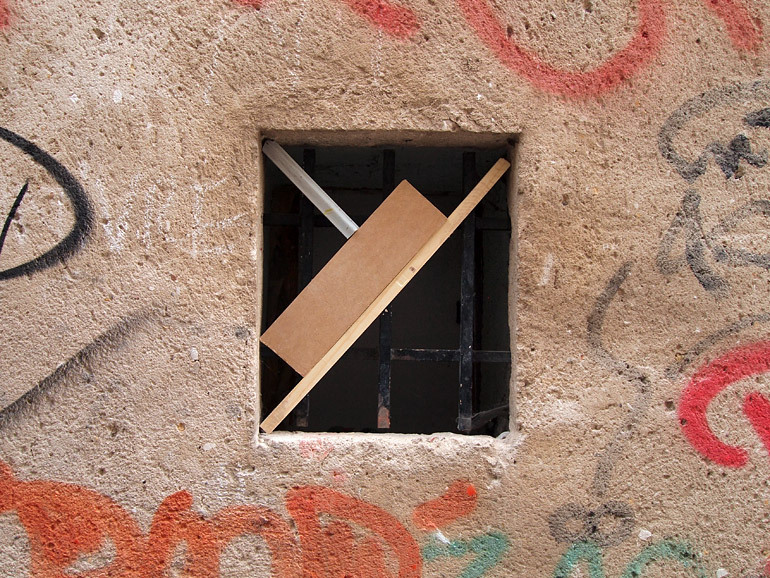 On an individual level, the pieces were quite discreet and often looked like some cheap repair work; but when people started noticing the series, they immediately realized that something was happening… We were amazed by how intact the pieces remained and how slowly they disappeared. 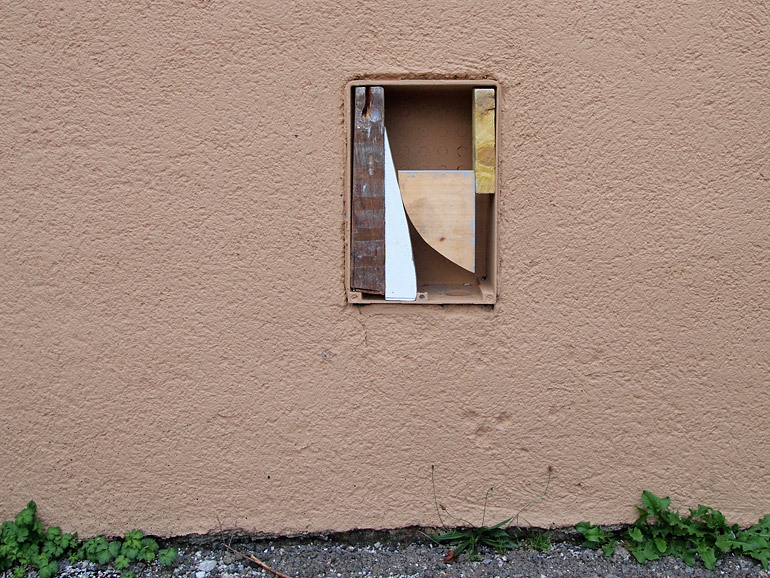 The hardest part of this project was to try to make the installations NOT look like pieces of art. 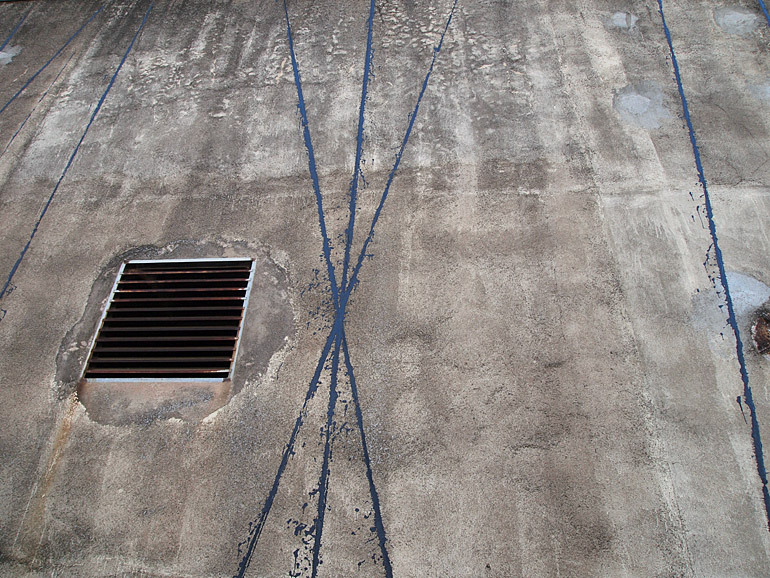 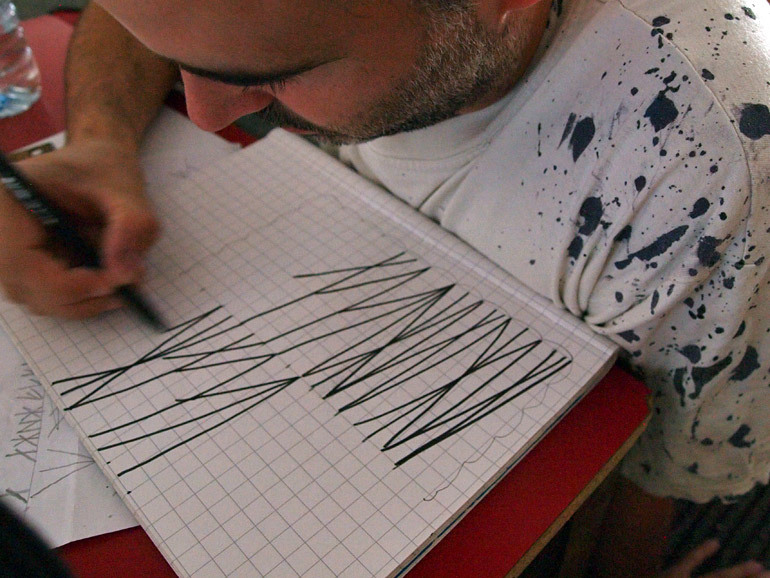 For this project, we used the traditional chalk line tracer tool as our inspiration and conducted experiments eventually developing a similar tool that enabled us to mark long straight lines on buildings with paint. 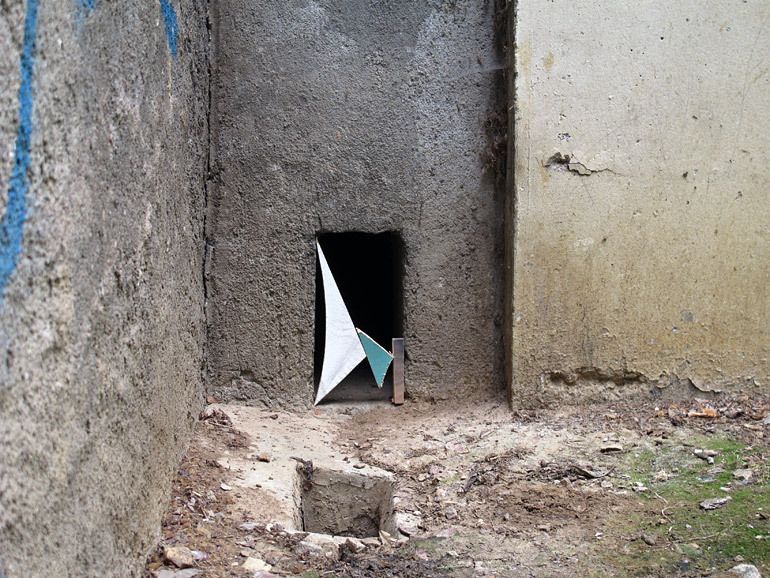 After a few drawings, we came out with a design and using the material available to us in Bien Urbain’s basement, we built the artifact. 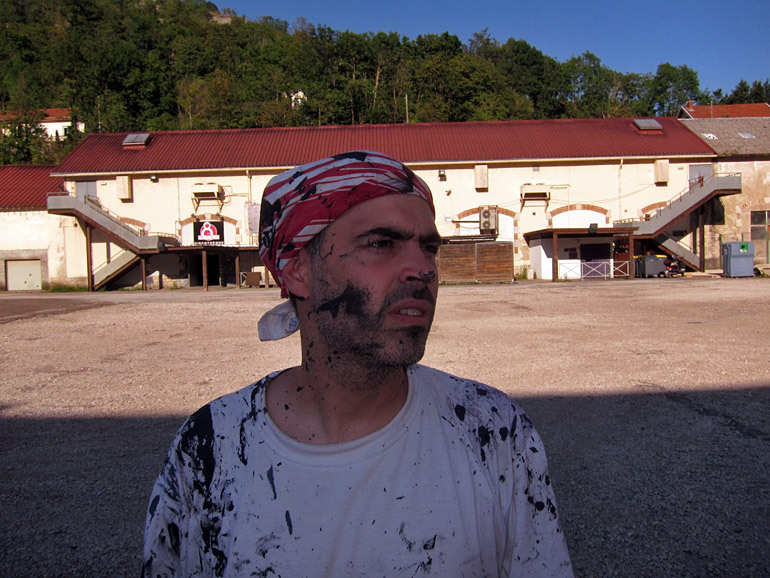 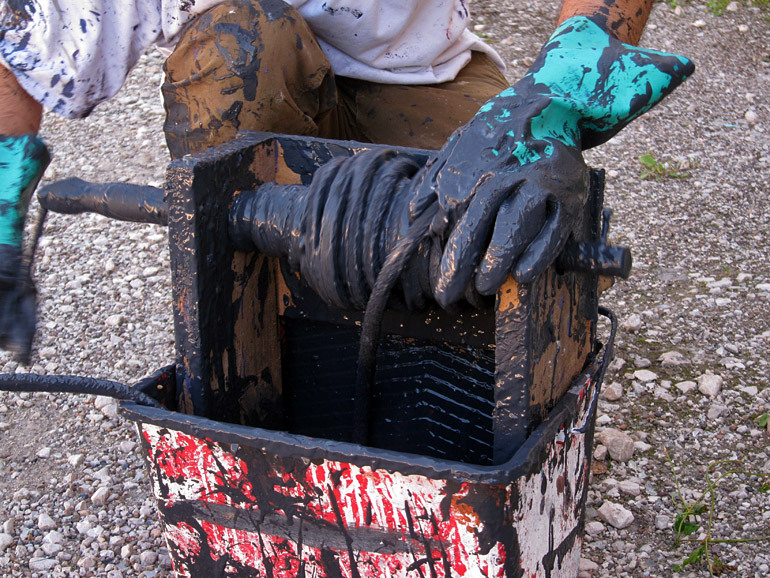 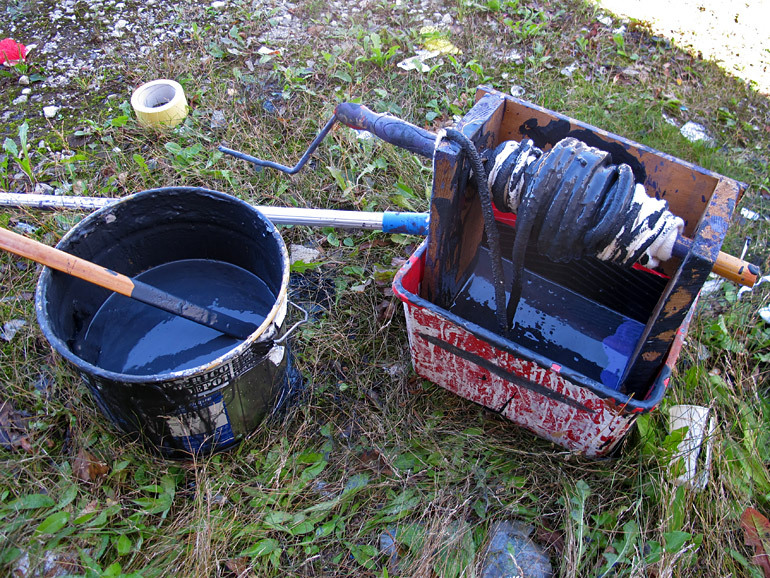 We did three tests, threw paint everywhere and finally came up with a satisfactory result. 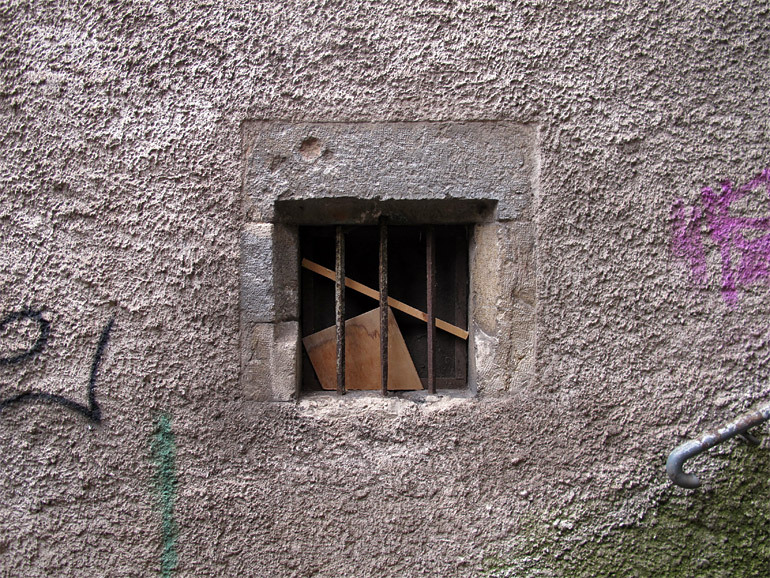 Pictures by Sierra, MOMO and Eltono. 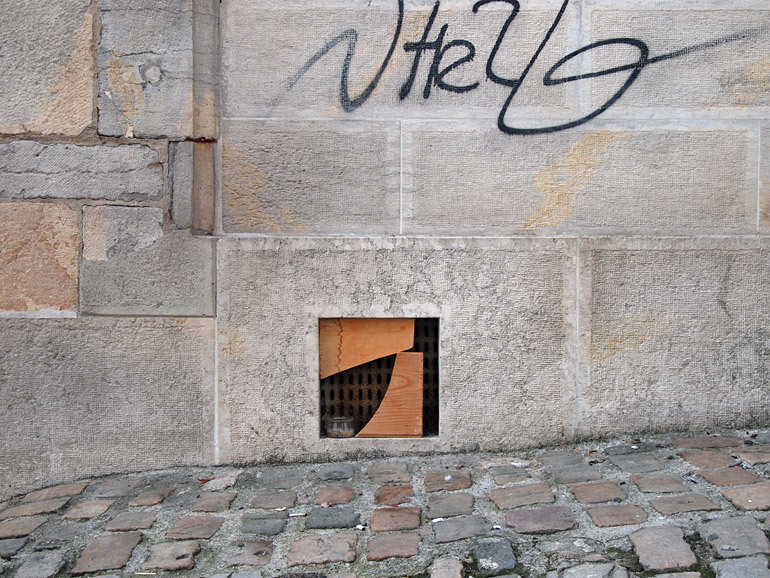 Thanks to David, Lucile and to the whole Bien Urbain crew.